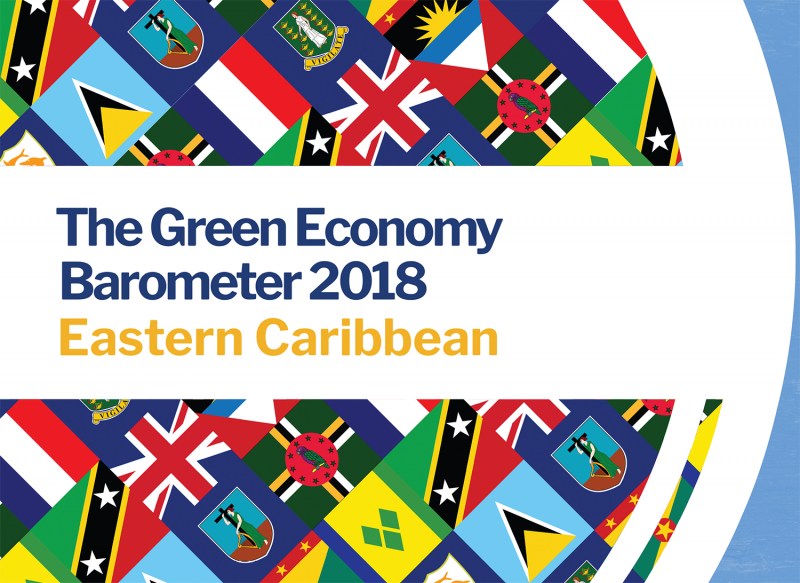 The Eastern Caribbean Green Economy Barometer, published by regional NGO the Caribbean Natural Resources Institute, and supported by the Green Economy Coalition (GEC), is a detailed analysis of the state of the transition to a sustainable, inclusive economy in the members of the Organisation of Eastern Caribbean States. The Green Economy Barometers are detailed yet accessible reports into the state of national green economies around the world. Each one focuses on a country or region and is produced in partnership with our local dialogue partners, utilising local expertise, connections and understanding to produce a holistic review of policy and practice. The barometers explore where governments and citizens stand on crucial green economy issues, assessing existing legislation and ambitions across key areas including equality and inclusion, green finance, sustainable sectors, and protecting nature and biodiversity. It rates the the transition to a truly green and fair economy in the Eastern Caribbean as below average, and argues governments' narrow focus on GDP has failed their citizens. The Barometer is based on a study by renowned Saint Lucian economist McHale Andrew, prepared by CANARI in collaboration with the OECS Commission. Since 2010, CANARI has been engaging Caribbean stakeholders in dialogues to explore principles and pathways for transformation of Caribbean economic development to be more environmentally sustainable, inclusive and resilient. It suggests opportunities to build on “green shoots” of positive initiatives in the OECS by including the value of nature in national economic decision-making; greening key sectors, including energy, tourism and agriculture; enhancing support to micro, small and medium enterprises (MSMEs) to provide economic opportunities, including for poor and vulnerable groups; reforming fiscal policy to support a new approach to development; and mobilising public and private financing.